Salt and Stone 餐廳在我的台北101美食推薦清單裡, Salt & Stone 餐廳價位與美味程度讓台北信義區美食餐廳競爭更加白熱化. 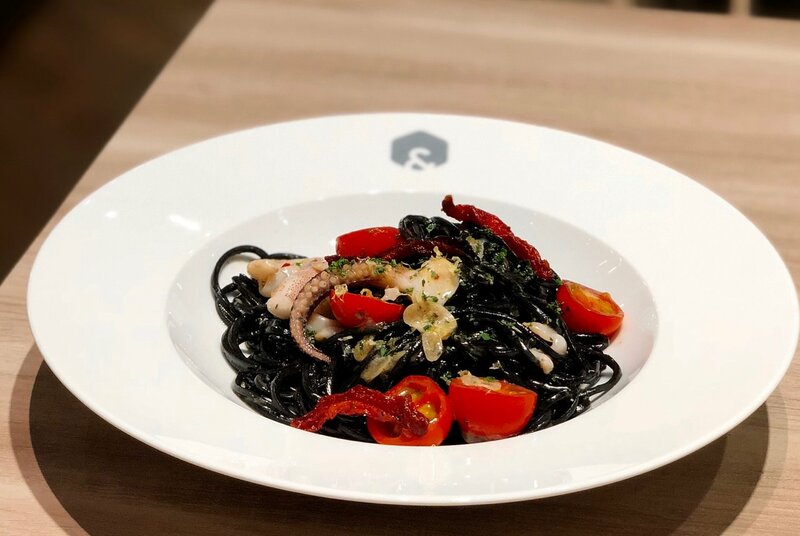 Salt and Stone Italian Restaurant is on my Taipei 101 restaurant recommendation list. 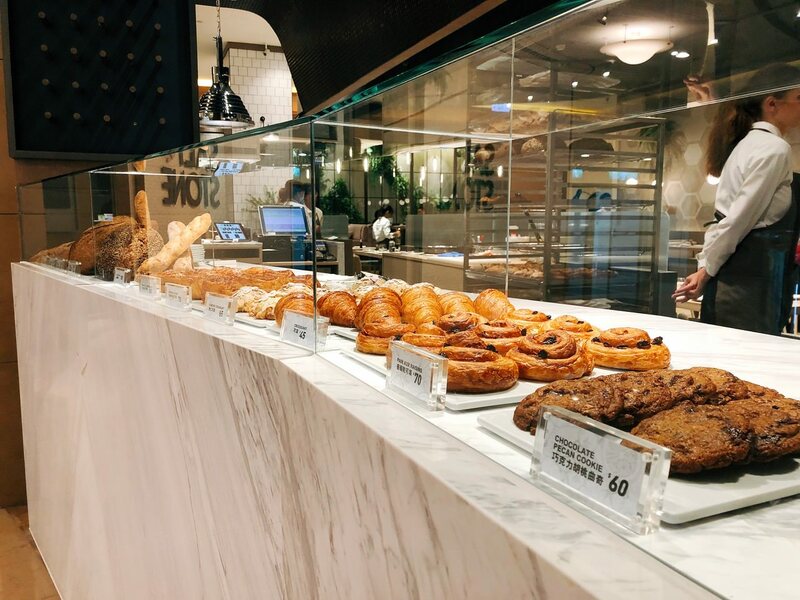 Considering the friendly price and delicious level, Salt & Stone restaurant becomes one of the competitors at Taipei Xinyi District. 可直接從台北 101/世貿捷運站4號出口踏入台北 101, 知名 “鼎泰豐餐廳“ 在右側, 建議避開人潮, 看到 Starbucks 左轉, 直接搭手扶梯到 101 4樓廣場, 會先看到 “IL MERCATO 101 Cafe”, Salt & Stone 餐廳位於原 Stay 餐廳店面位置, 銀灰色與象牙白色為主色調, 玻璃櫃放置著麵包和甜點, Salt & Stone 餐廳的明亮環境與其他 101 4樓餐廳截然不同. You can enter from Taipei 101 No. 4 Exit. “Din Tai Fung Restaurant” would be at the right hand side. I would suggest to turn left to get the escalator to 4th floor. You would see the “IL MERCATO 101 Cafe” first. Salt & Stone restaurant is located at the previous Stay restaurant. Silver-gray color and white color are the main colors. There are desserts and breads at the display. 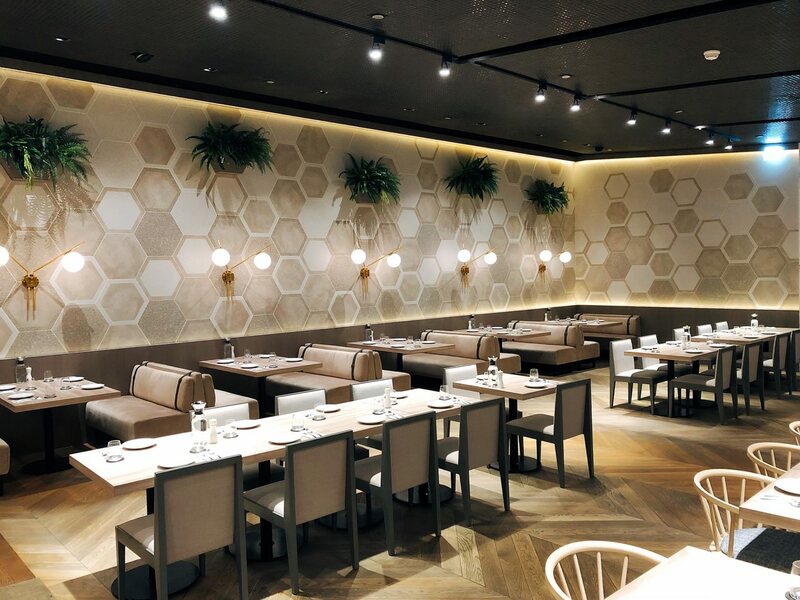 The bright dining environment is different from other Taipei101 4 F restaurants. 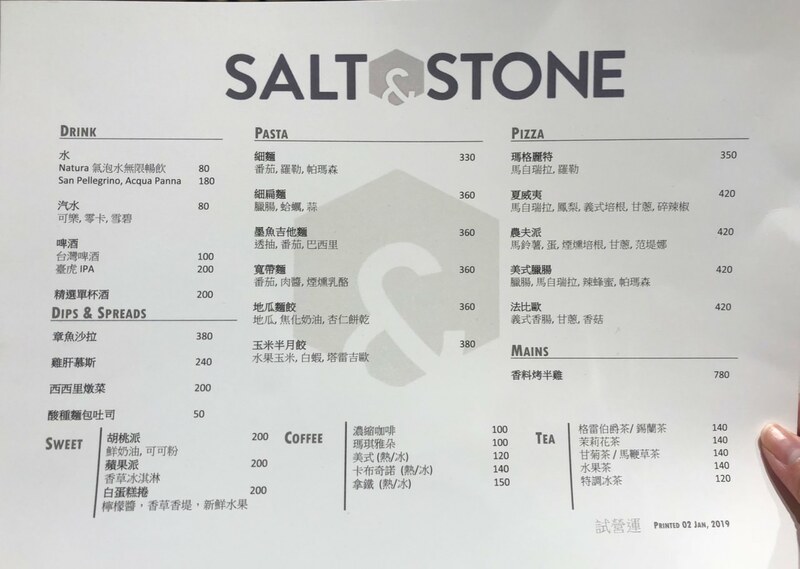 Salt & Stone 餐廳佔地頗大, 除了沙發座位區外, 也有可移動桌椅, 走道寬敞可讓娃娃車出入方便, 相當適合家庭聚餐和餐廳部門聚會, 一訪時商業人士眾多, 二訪時朋友和家庭聚會客人較多. Salt & Stone 菜單並沒有套餐組合, 而是單點, 很難想像這家101 4樓餐廳價格比一些台北東區義大利餐廳便宜. 我一訪和二訪分別點了義大利麵,Pizza, 飲料和甜點, 聽朋友說, Salt & Stone 餐廳的烤半雞也相當不錯. 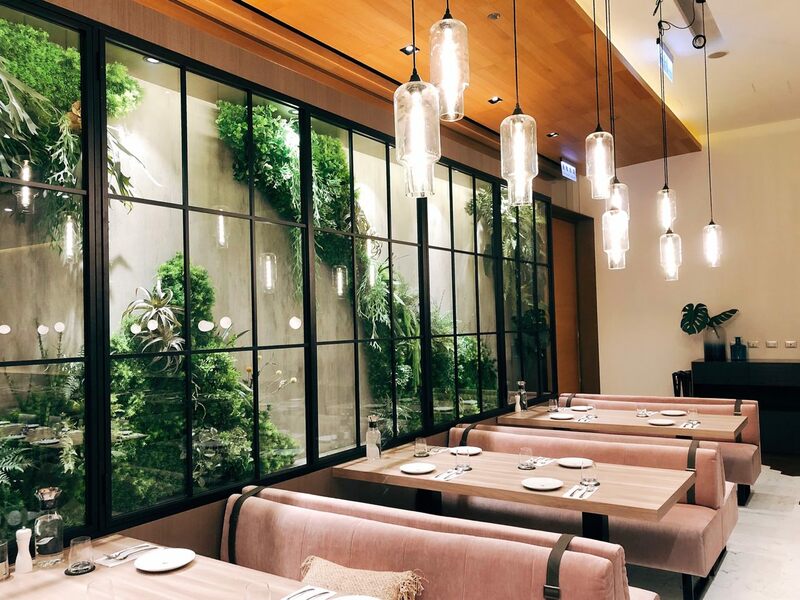 There are many seats at Salt & Stone Restaurant. 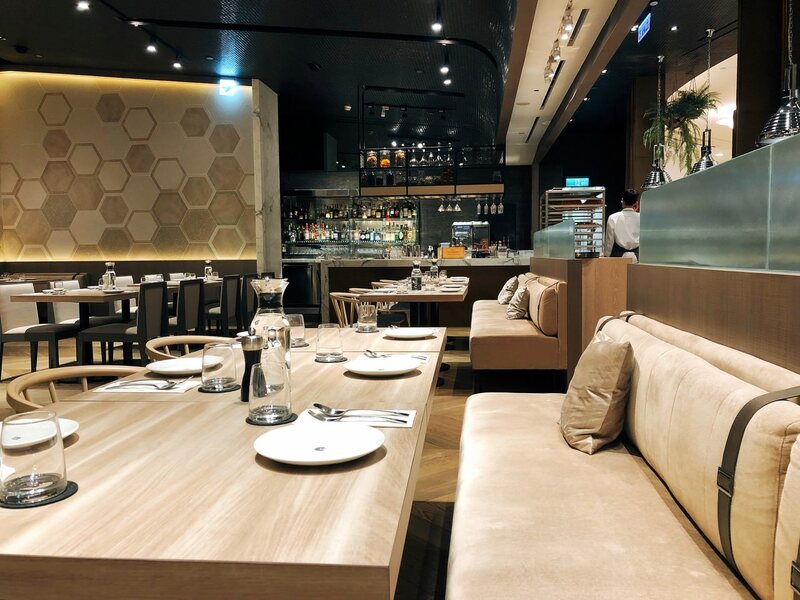 It is a perfect restaurant for family gathering or staff gathering restaurant. There isn’t any set option on the menu. Comparing to the price, it is surprising to see this restaurant’s price is even cheaper than some restaurants at Taipei East District. My friend and I ordered pasta, pizza, drinks and dessert. Another friend also mentions the half roast chicken is delicious as well. 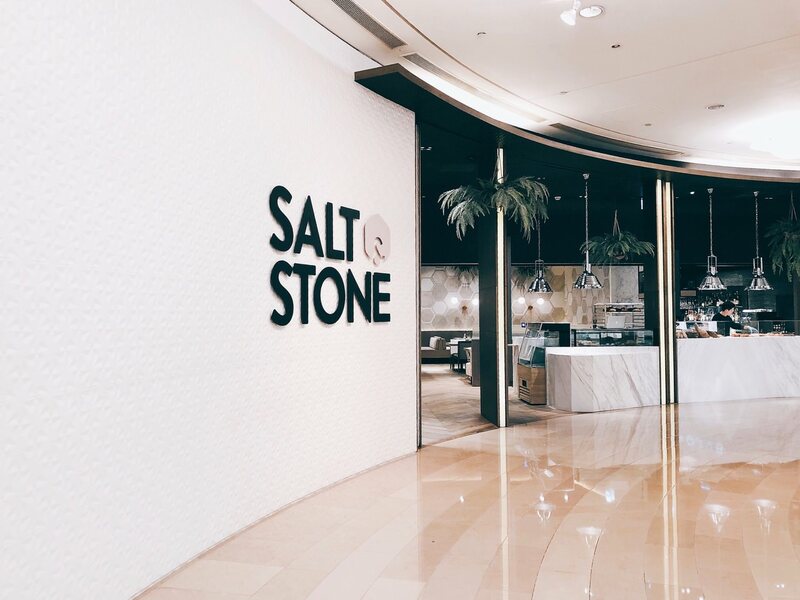 Salt & Stone 餐廳除了進口氣泡水和常溫水外, 圖片裡則是店家自製氣泡水, NTD $80 價格是無限暢飲, 氣泡是屬於刺激性, 跟 San Pellegrino 的溫和氣泡較不同. 餐廳之後會有紅白酒單. 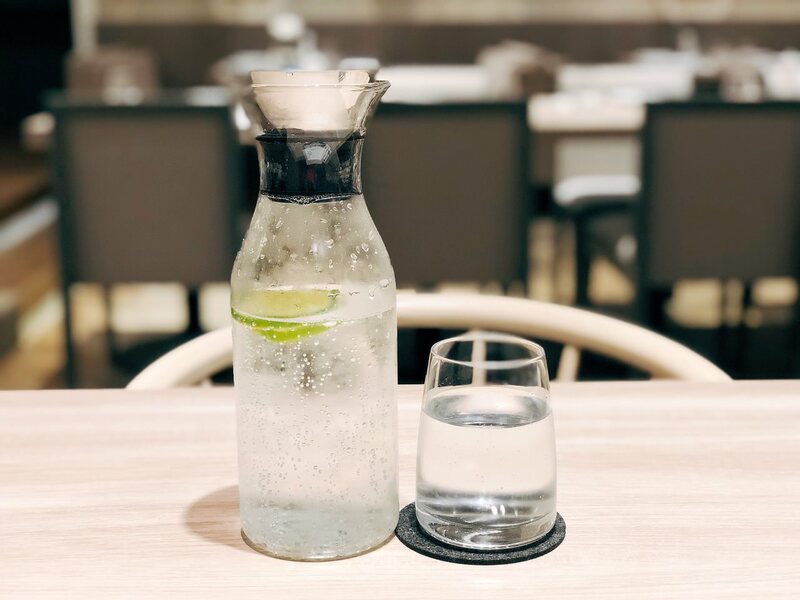 Besides imported sparkling water and regular water, Salt & Stone restaurant also has their own sparkling water from their machine. NTD $80 price is all you can drink. The bubbles carries fair amount stimulations, comparing with San Pellegrino. There will be wine menu in the future. 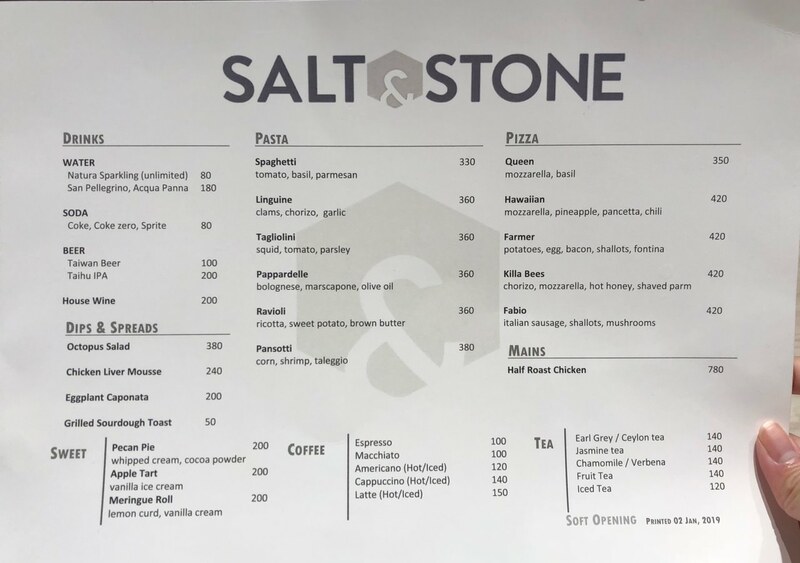 Salt & Stone 餐廳的農夫派 Pizza 配料包括馬鈴薯, 蛋, 煙燻培根, 甘蔥, 和Fontina 起司. 12 吋 Pizza是不規則圓形, 與 “美國 Blaze Pizza 餐廳” 正規圓形截然不同. 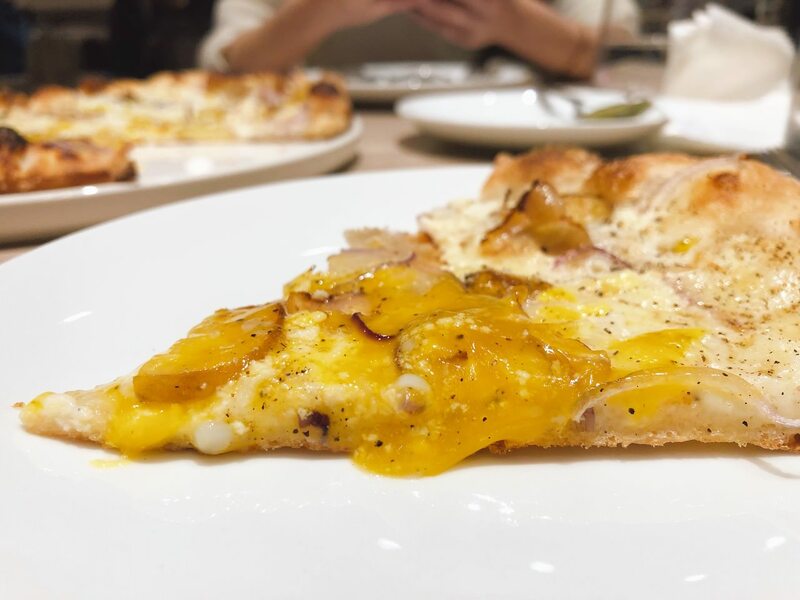 店員建議先將農夫派上的半熟蛋戳破, 且平均抹在 Pizza 後再品嚐.Pizza 餅皮薄且脆, 可是並沒有 “Antico Forno 老烤箱義大利比披薩餐酒” Pizza餅皮的韌性和筋性, 我個人是屬於薄且脆喜好者. 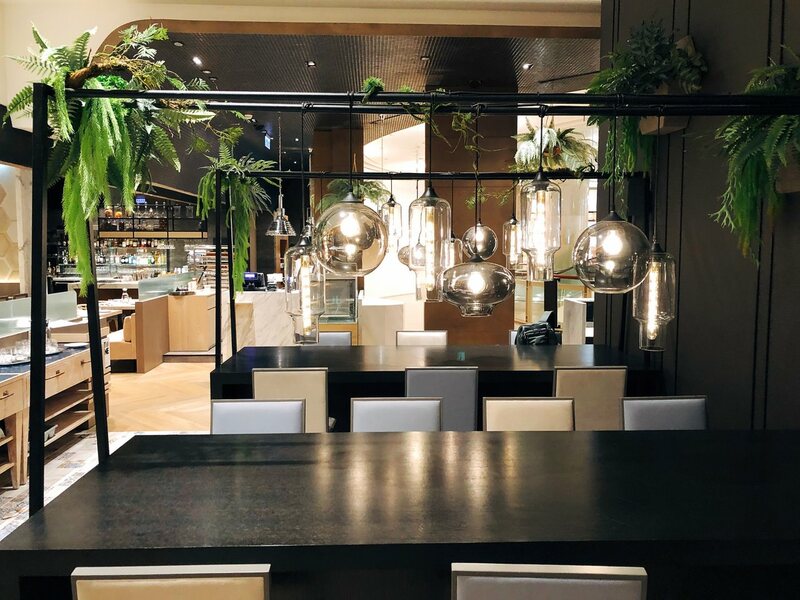 吃到馬鈴薯時, 想到在”萬豪酒店 IL MERCATO 大直分店“吃到的烤豬馬鈴薯披薩, 煙燻培根因為甘蔥(紫色紅蔥頭) 輔佐變得肉香更為迷人, 整體以價格評估 , 台北 101 Salt & Stone 餐廳的 Pizza 價格算是相當親民, 我會推薦給兩人分享. 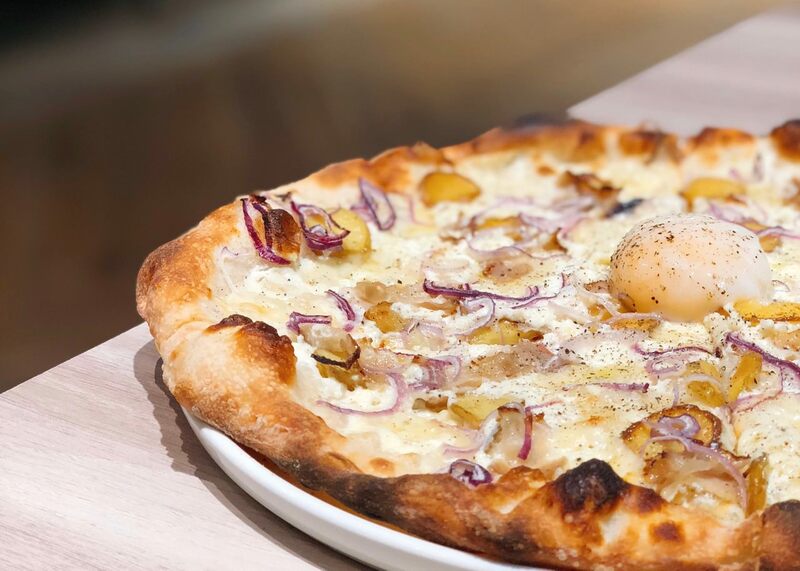 Farmer pizza topping includes potato, egg, smoked bacon, shallot, and Fontina Cheese. The 12 inch pizza is irregular round shape, which is different from the “USA Blaza Pizza” at America. 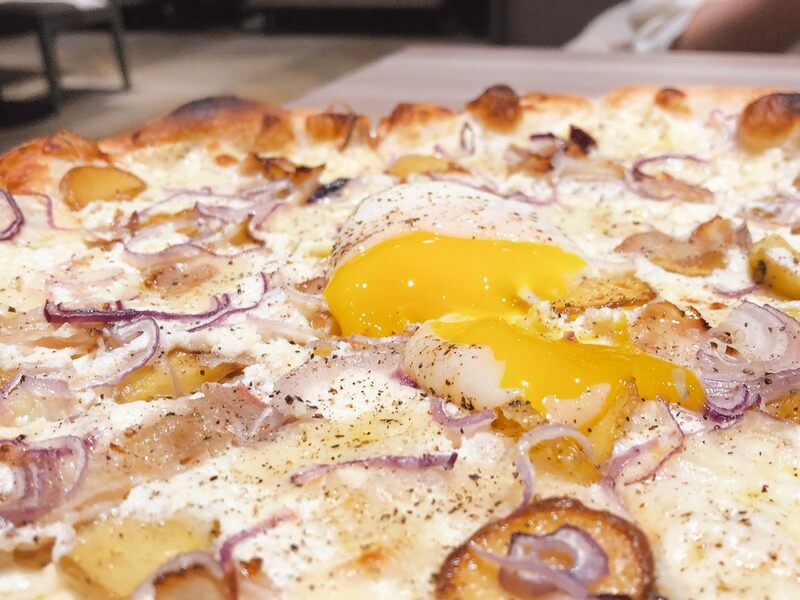 The staff suggested that to spread the egg yolk evenly on the pizza and enjoy. The pizza crust is thin and crispy. The texture is a bit different from the pizza that I ate at “Antico Forno Pizza Restaurant”. However, I prefer the thin and crispy crust. 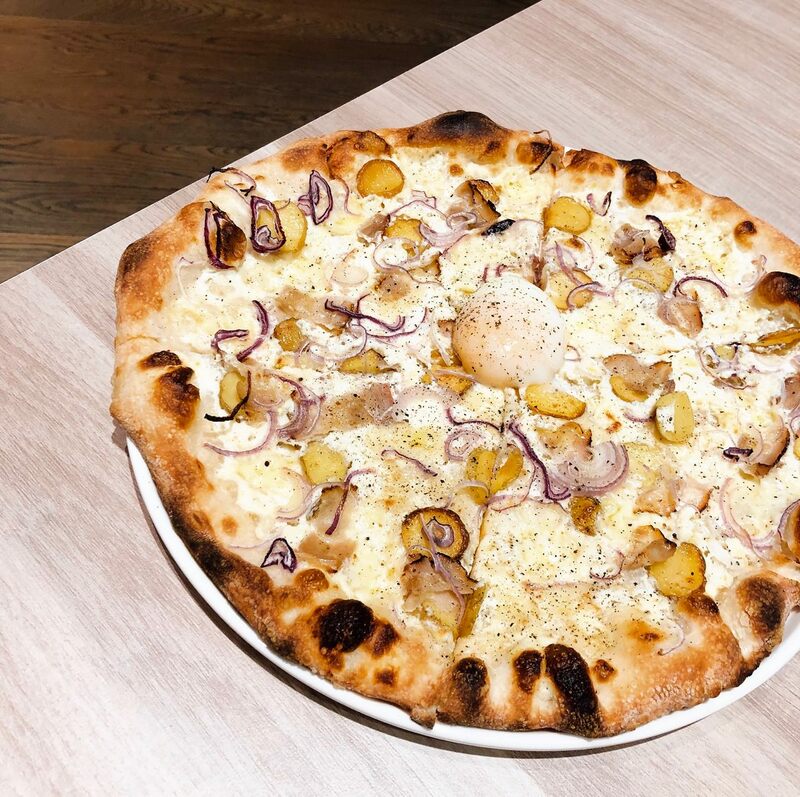 When I start to eat the potato topping, I immediately think of the 9 inch Porchetta E Patate pizza that I ate at “IL MERCATO DAZHI PIZZA”. Because of the shallots (purple onion), the smoked bacon has more meaty flavor than usual. Considering the price and location, I would definitely recommend this pizza for 2 people to share. Salt & Stone 餐廳義大利麵是在自家廚房製作, 墨魚麵並不是吃了嘴巴會黑的那種麵, 義大利麵在艷紅蕃茄和嫩白章魚襯托下更加亮黑, 麵口感是我喜歡的適量硬度, 而不是偏軟. 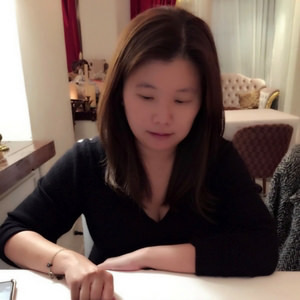 透抽在香料和橄欖油拌炒並不會過硬 ,風乾蕃茄與新鮮蕃茄有緩衝的效果, 要不然海鮮和巴西里香料風味會過多, 因為價格考量, Salt & Stone 餐廳義大利麵份量不多, 小鳥胃女生可能也只會八分飽, 若是當下想吃義大利麵, 我蠻推薦這一道墨魚吉他麵. 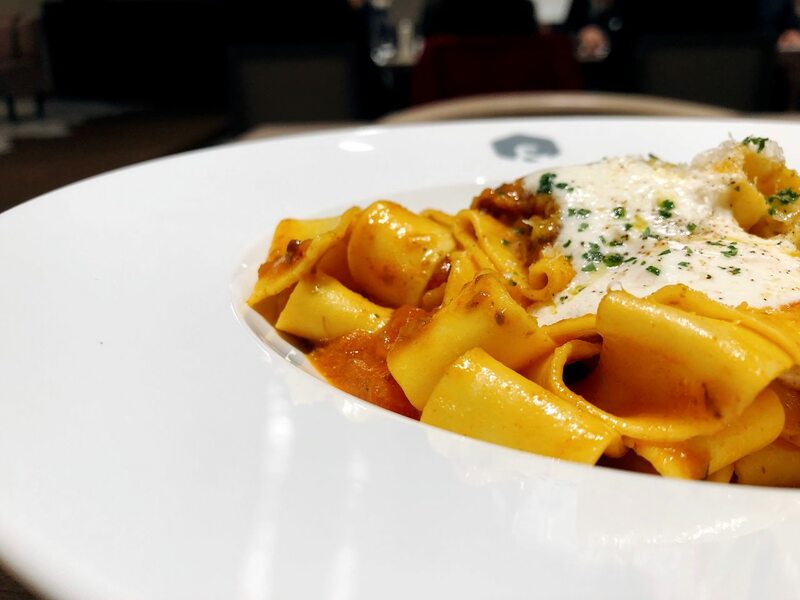 Salt & Stone restaurant makes their own pasta. 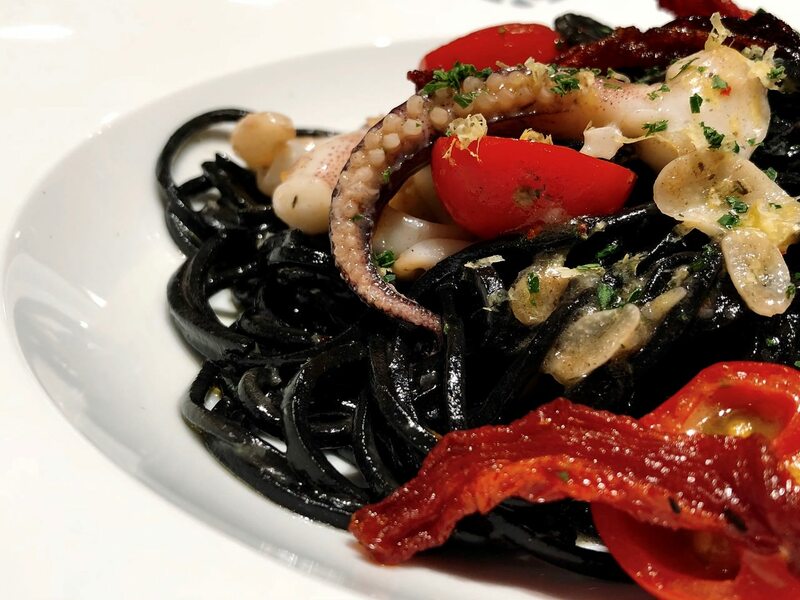 The black color Tagliolini has fair amount of seafood flavor but it won’t leave the color at your mouth. The pasta’s al dente texture is my favorite. The squid is not overly too hard considering it is stir-fried with parsley flavorings and olive oil. Both dried and fresh tomato decrease the seafood flavor a bit. Considering the price, the quantity of the pasta is a bit less for girls to fulfill the appetite. 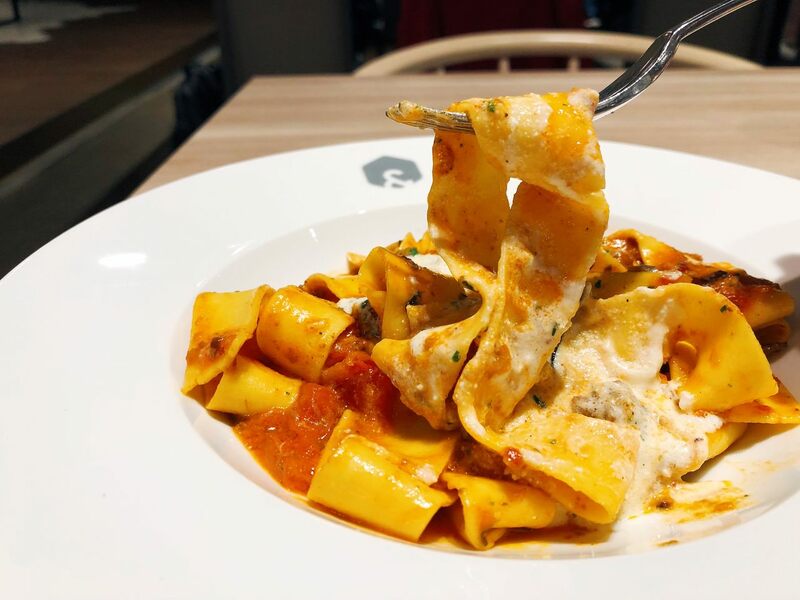 If craving for pasta at the moment, I would recommend this dish. 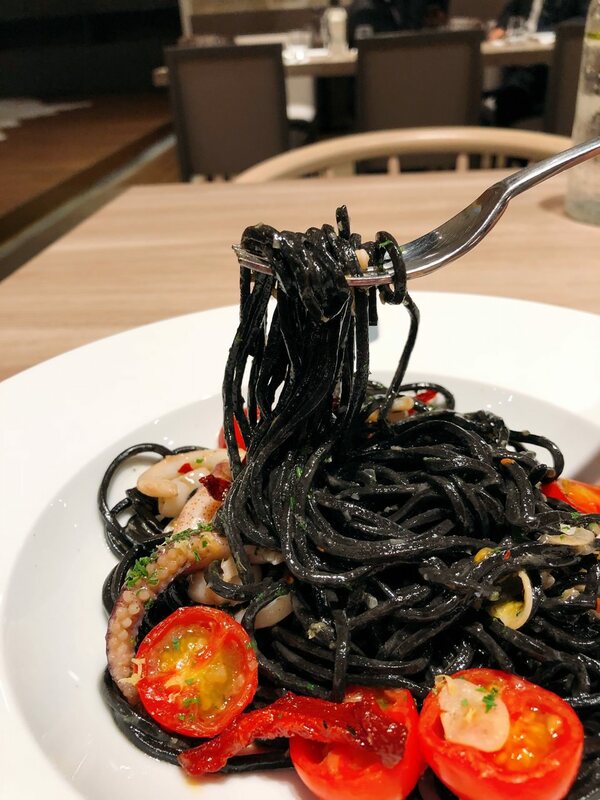 上次吃寬帶麵 波隆那肉醬是在 國父紀念館捷運站附近的 “La Piola Cucina Italiana 義大利餐廳”, Salt & Stone 餐廳這道義大利麵自製麵程度 Q彈, 即使在濃稠肉醬裡也可以感受到麵的嚼勁和硬度, 可惜煙燻乳酪的煙燻風味蕃茄肉醬風味蓋住. 我會建議兩人分享才不會過膩. 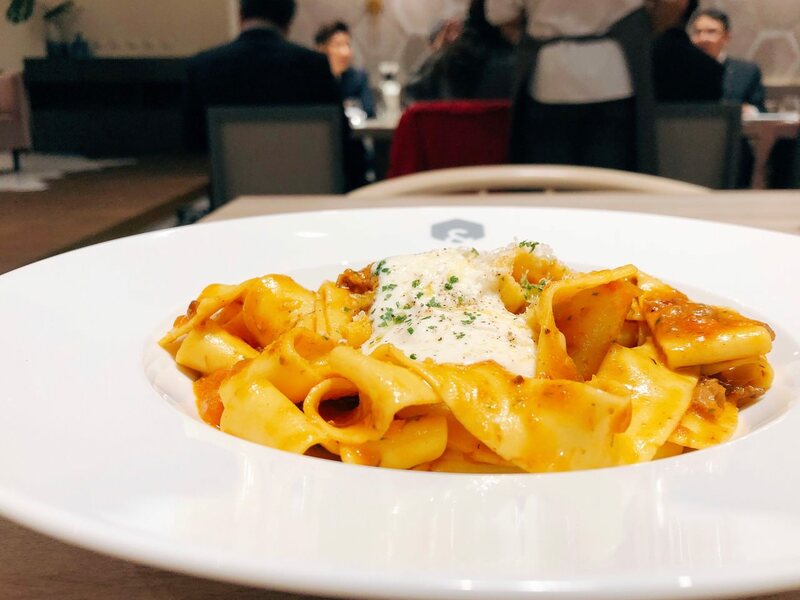 I last time ate Pappardelle with Bolognese was at “La Piola Cucina Italiana Restaurant”. 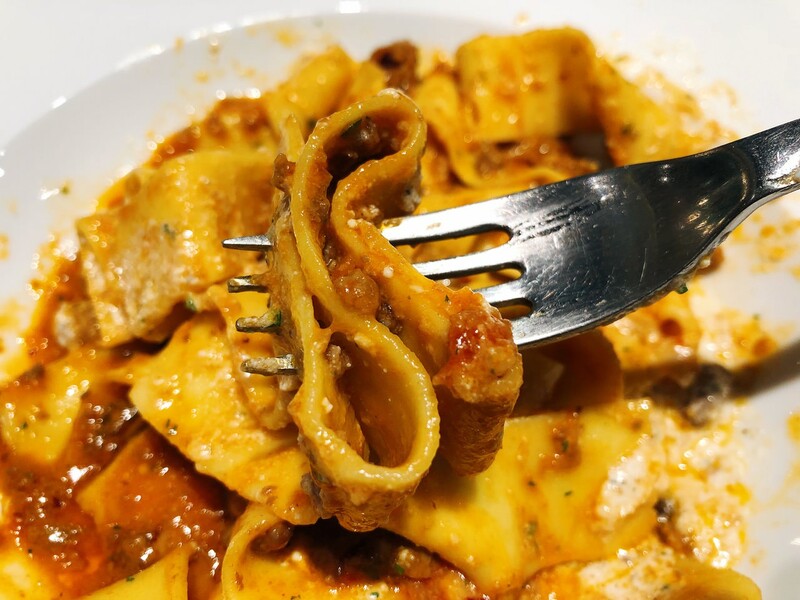 I can still sense the al dente texture along with the thick meaty Bolognese sauce. However, the mascarpone didn’t have much the so-call smokey flavor, which probably is covered by the sauce. I would suggest 2 people to share this dish. Salt & Stone 餐廳甜點 (例如: 胡桃派) 讓很多人驚豔, 我這次點的是白蛋糕捲, 原本以為是像在 “ISM 主義甜時” 吃到的生乳捲, 孰不知原來是在 ”Saveur 歐洲風味餐坊“ 吃到的烤蛋白甜點. 口感輕柔像雲朵蛋糕, 檸檬醬內餡甜多過於酸, 可惜蛋味異常地重, 也許是個案, 我並不是很滿意. 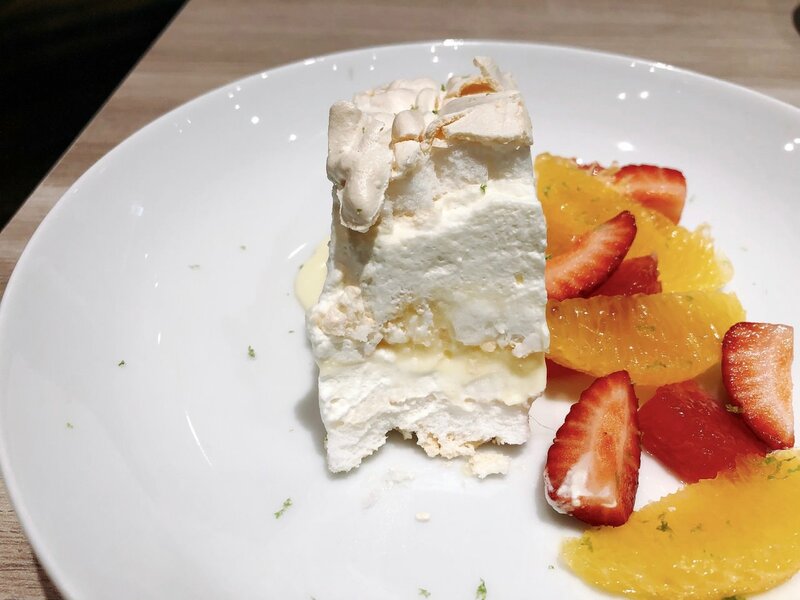 People mentioned that the dessert is surprisingly good at Salt & Stone restaurant. 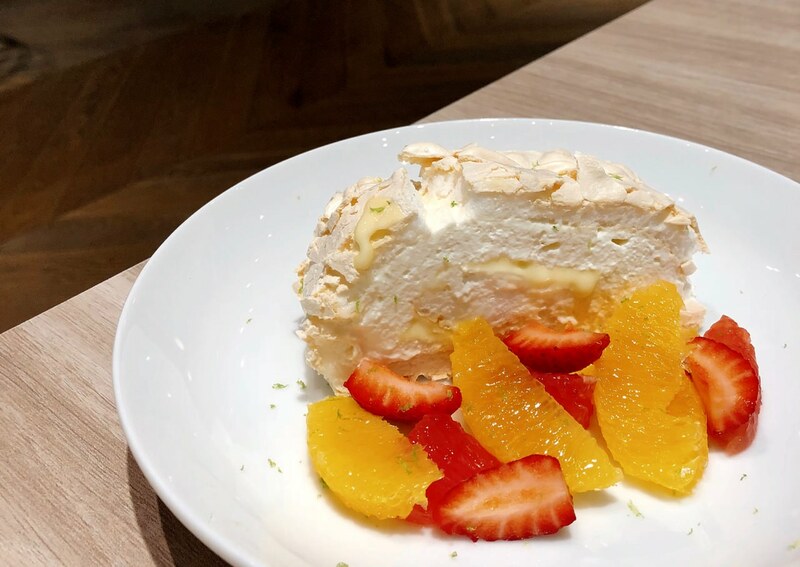 I ordered Meringue Roll, which I thought it is a cake roll, just like at “PÂTISSERIE ISM”. However, it turns out to be like the one that I ate at “Saveur Restaurant”. Fluffy texture is perfect along wit the sweet lemon cream. However, the weird egg aroma appeared at the mouth. Maybe it is just one-time matter. But, I wasn’t satisfied. 這是我朋友點的, 聞起來香氣十足, 雖然可回沖, 但茶葉則是並不是很完整的散碎茶葉, 以價格來看, 這款伯爵茶是個不錯的選擇. My friend ordered this tea. 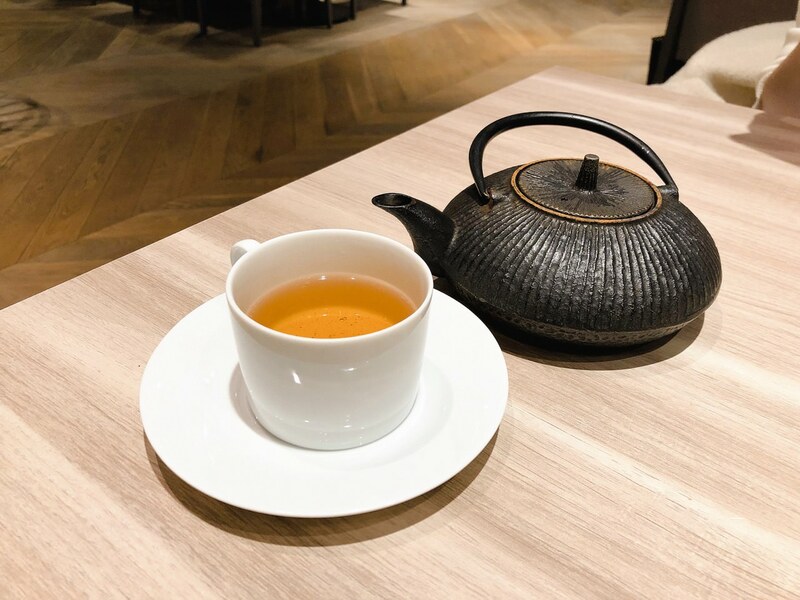 The earl grey tea aroma is attractive. However, the leaves is not a whole tea leafs peice, instead of, it is break tea leafs. However, considering the price, this tea is worth a try. 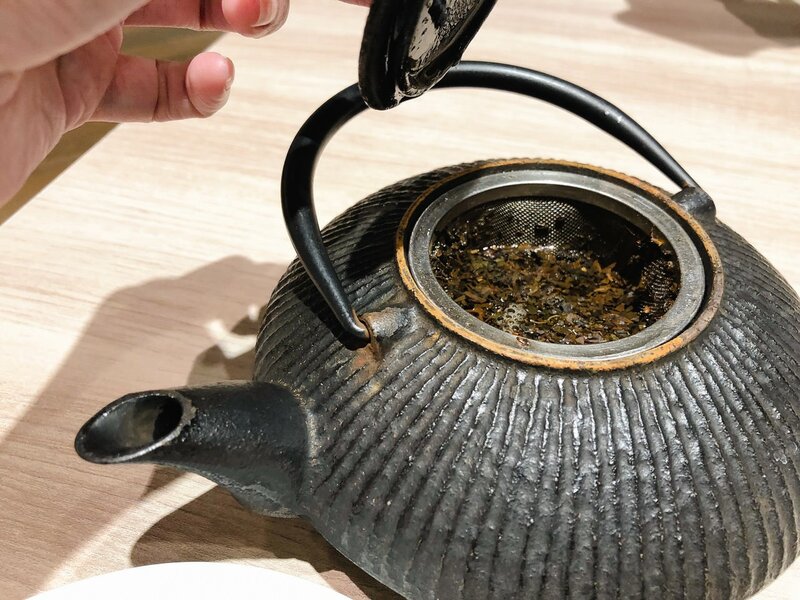 我本來以為是 “新鮮水果茶”, 然後用老派玻璃壺裝, 但實際上是茶包, 而且喝起來混合水果酸味多過於茶香, 我個人比較不喜歡. 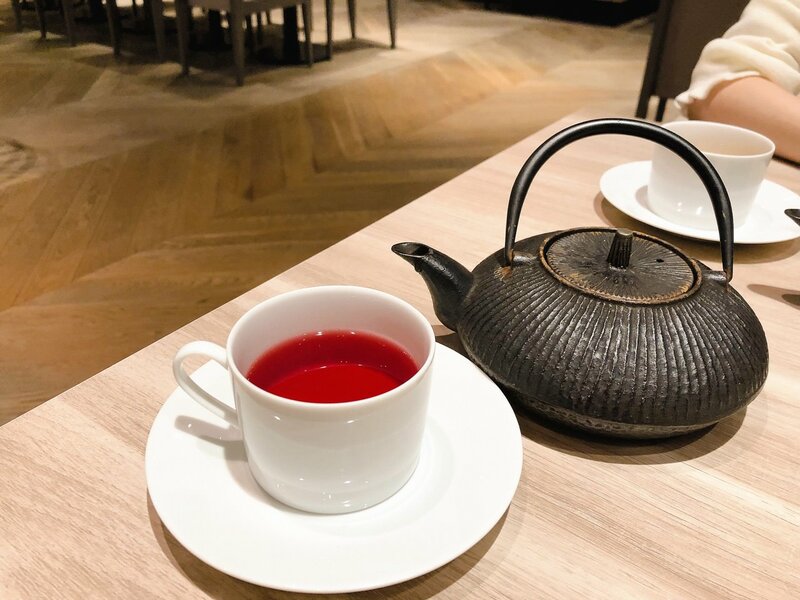 I thought that it is “Fresh Fruit Tea”, which is brewed at the transparent glass tea pot. However, it is a tea bag. 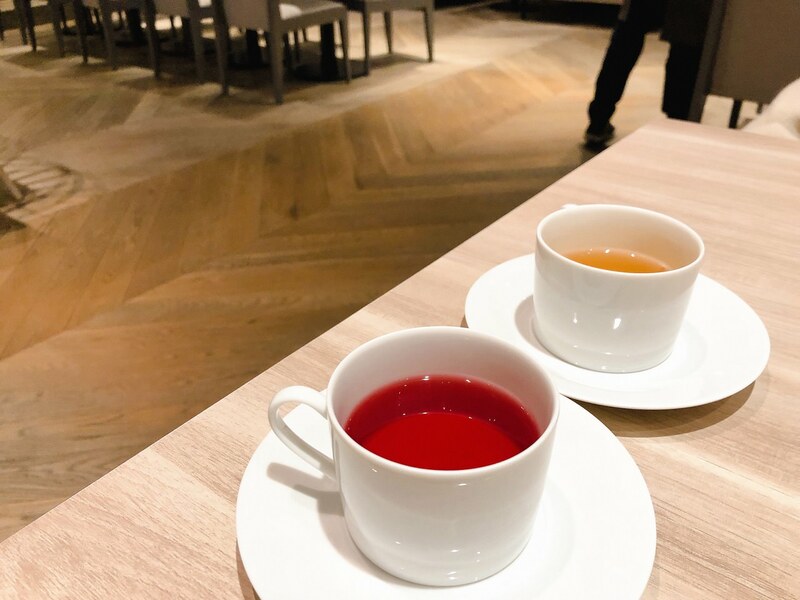 The acidity of mixed fruit is much more stronger than the tea aroma. I prefer the earl grey tea.